When it comes to meat, there is a general pride in the country as to the quality that we produce. Consumers also expect high standards when purchasing, as it is one area that we don’t seem willing to settle for second best in. The Irish Public demand high quality products and in that respect EWS Traditional Butchers in Co. Donegal meets those demands on a daily basis. 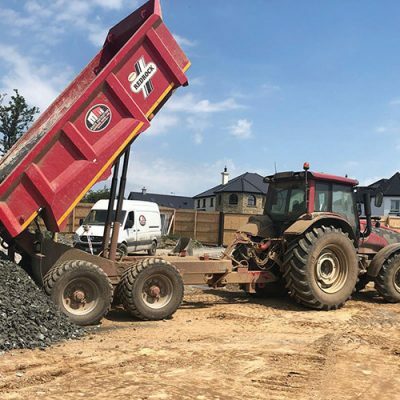 This is a family run business that was started back in 1962 by Eddie Walsh and now in their third generation, the business is going stronger than ever. Unfortunately Eddie passed away 4 years ago, but his legacy lives on through his sons Liam, John and Edmund who have carried on their father’s ethos of focusing on providing a top quality service to their large customer base. 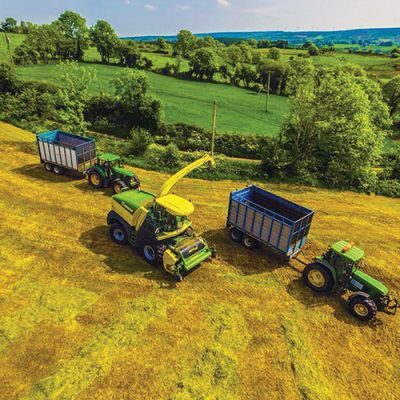 For this month’s edition of Irish Tractor, we speak to Liam Walsh about the success of the business which has been recognised on an International level. Liam revealed that butchering and farming go hand in hand and by providing their own meat, they know the quality is there. A major change occurring in the late nineties. “In 1999, John stated that a new bull was needed and we went to meet David Clarke Loughnavalley, Co. Westmeath. That was St. Stephen’s Day and then on New Year’s Day, we brought our father to Loughnavalley and we decided to buy the bull. David told us about a breed of French cattle called Aubrac that was selling for 2 francs per kg more than other breeds. 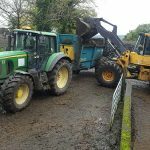 “We ended up buying six heifers off him and then bought two more off the Auburc Society here in Ireland. By April 2000 we had eight Aubrac in total and that is where our association with Auburc beef began. 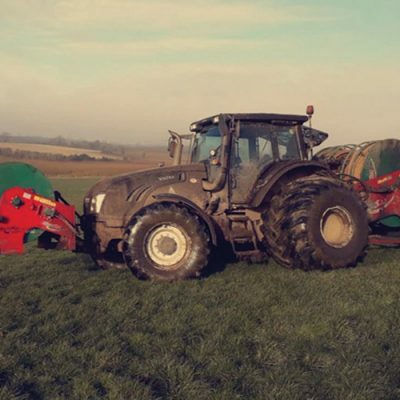 Liam added that John and two of our nephews Evan and Kyle work the farm on a daily basis and ensure that the stock get the proper feed in order to maximise their potential. 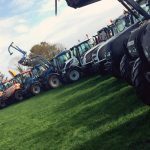 “Farming has become a lot more scientific these days and it is not just a case of throwing them out any old feed. Everything has to be monitored and the lads do a very good job. We also have sheep on the farm. The main shop is in Donegal town, while the branch in Ballintra operates on a Saturday. EWS also provide their meat to Kee’s Eurospar in Laghey, Co Donegal, while also providing their products to many of the leading hotels in the county. Outside of their award-winning Aubrac beef range, EWS also source lamb from their flock of pedigree Charolaise and pedigree Blue Texel sheep, as well as offering Irish pork products and free-range chickens. Since starting to breed Aubrac eighteen years ago, success has come their way in abundance. 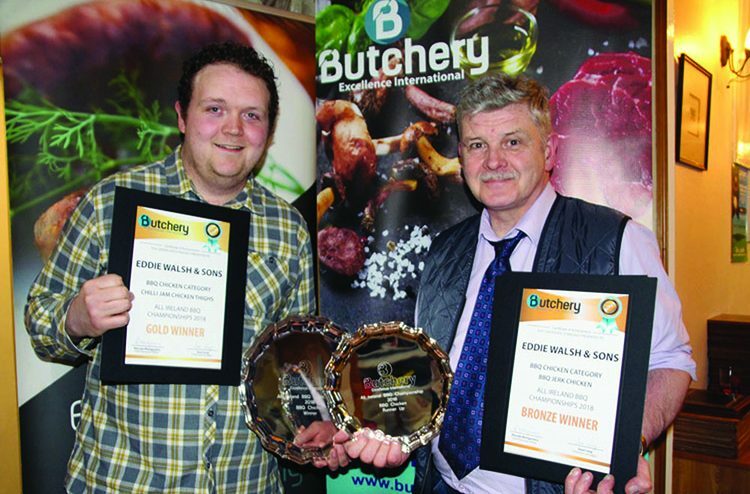 Last year saw unprecedented awards as EWS claimed numerous awards at the All-Ireland Barbeque Butchers Championship, securing the overall title along with four diamond awards, one platinum award, ten gold awards, six silver awards and two bronze awards for an array of their produce. 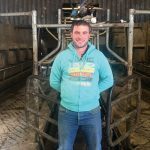 More recently, they have topped “BEl- Champion of Champions” All-Ireland Butchers Championship, after successfully beaten off stern competition from two other butchers in a four-hour competition. John’s son Keith gained International recognition when he went to Australia to compete at the Butcheries International competition where he competed in the Young Butcher’s category and picked up a gold medal and second overall. EWS Traditional Butchers are part of Associated Craft Butchers of Ireland and Butchery Excellence Scheme. The Butchery Excellence Scheme played host to the World Butchers Championship in Belfast in 2018 and the family had a very strong presence at the event picking up more awards. With a strong presence nationwide and a large number of orders from every corner of the country, EWS Traditional Butchers plan on making a bigger break in early 2019 through the launch of their online store. 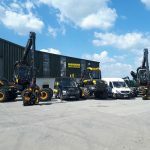 The family has also recently expanded with a new boning area at the rear of the shop, with further expansion in the pipeline over the course of the next five years.